Here’s a selection of nuggets of information from talks which I didn’t manage to attend during this year’s conference but did get bits out of via Twitter. They are loosely categorised to help you find your way around. Thanks to everyone who shared what they were watching! I’ve included videos if they’re available, as I hope to watch them at some point myself. It is explained in more detail in this article and this handout. Karin Krummenacher suggested an alternative way of approaching CELTA input sessions, starting with a needs analysis and encouraging trainees to go to the sessions they need, creating a flexible timetable. This is an interesting idea, though another person pointed out it could prove quite challenging if some trainees feel like they are made to go to more sessions than others. Video in Language Teacher Education is a project I’d like to explore further, particularly since we’ve been introducing video observation into our school this year. You can get a taster by watching the videos on their website. Alastair Douglas spoke on why observation is such a key part of teacher training and on how we should rethink observation tasks. 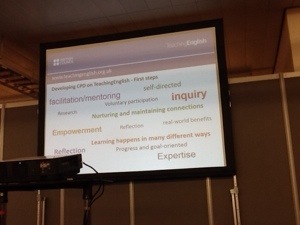 You can watch Alastair’s full talk on the Teaching English British Council page. Katherine Martinkovich summarized their talk here, along with a selection of other related ones she saw. You can read their full whitepaper on the Cambridge website. Having now watched the talk, I’m going to look at the CPD I’m involved in and see how we can make it more sustained, as this seemed to be the glaring omission from most of what I’m doing. Thanks to Liam for clarifying that PPBP is Pose, Pause, Bounce and Pounce – there seem to be two alternatives: PPPB or PPBP. There are lots more ideas like this on the Cambridge Practice Makes Perfect site. Gareth Davies, a.k.a. Gareth the Storyteller, asked whether English lessons are fairytales in disguise. You can get a taste of his storytelling here, in a 1-minute clip which is perfect for the classroom. Edmund Dudley was talking about motivating teenagers to write, and promoting the new ETpedia Teenagers book [Amazon affiliate link] which was recently published. 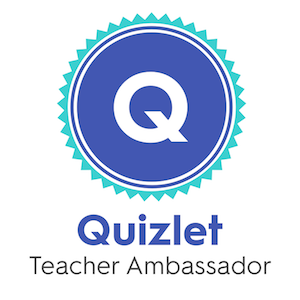 His slides are available here – I’m already thinking about which teachers I can pass them on to at school! Another talk connected to writing includes the phrase ‘sentence energy’, which sounds intriguing. 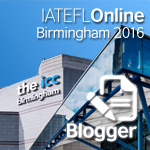 That was Sarah Blair’s presentation on ‘Teaching writing visually, which you can watch on the TeachingEnglish IATEFL 2018 page, or get to directly here. Jade Blue had some interesting ideas for using learner-generated visuals to conceptualise language. I know this image isn’t perfect, but it gives you the idea I think. Definitely something I’d like to find out more about, and nicely complementing David Connolly‘s presentation. John Hughes discussed critical thinking and higher order thinking skills for lower levels. Finally, Brita Fernandez Schmidt gave a plenary called ‘Knowledge is power: access to education for marginalised women’ which generated a lot of conversation. You can watch it here. What else do you think I missed? 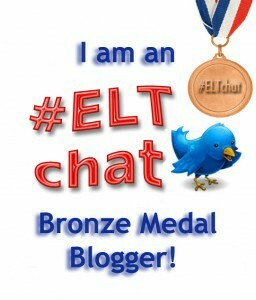 I love the TeachingEnglish facebook page because it has helped my blog a lot, so I really wanted to see Ann and Paul talk about how they do it. 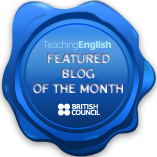 I’m also a TeachingEnglish associate blogger for the website, which is a great opportunity. 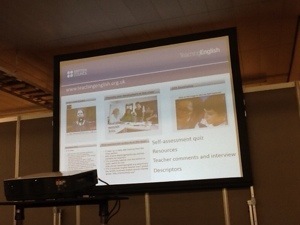 Paul and Ann are talking about how they are hoping to reshape the TeachingEnglish website to offer better resources for CPD. Paul starts by sharing the CPD framework the British Council developed. On the site at the moment, you can click on your level of development and that will give resources specific to your stage in your career. They suggest what skills you should have at that level and give you ideas on how to develop them. For example, starter teachers have resources on pairwork or developing rapport, whereas higher-level teachers have resources on things like materials development. Ann talks about their huge success on facebook. They have over 2.2million likes and a 1.5million weekly reach [which is phenomenal!] They started it with the idea that it is not just to promote British Council materials, but a place for people to see what is available in the teaching world in general. The facebook page has it’s biggest audience in India, then Egypt. A lot of people follow it from South-East Asia and Latin America. The people who share resources tend to be European-based, but the discussions are international. social media and blogs: it’s crowdsourced, and the validity is from how useful ideas are and how much they’re shared. action research groups: people often go to a workshop given by an expert, but this is only effective up to a point. 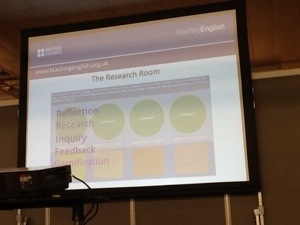 Paul’s teaching centre set up action research groups where teachers worked with others who were interested in the same areas. They found it was far more motivating for the teachers. 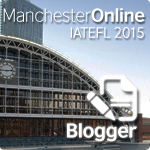 free and paid-for online training opportunities: for example MOOCs. government-/institute-funded projects: for example in Malaysia, where there are teacher-led projects. They compared this with what was offered on the TeachingEnglish website, and found it quite different. The words in the image above show what people are looking for. The notion of ‘experts’ is changing, and now there are many of them, in the form of bloggers sharing their experience in class, for example. Voluntary participation allows teachers to decide to what extent they want to be involved, how much work they want to do, etc. They decided that organising things into career paths might be a more useful way of organising the information. 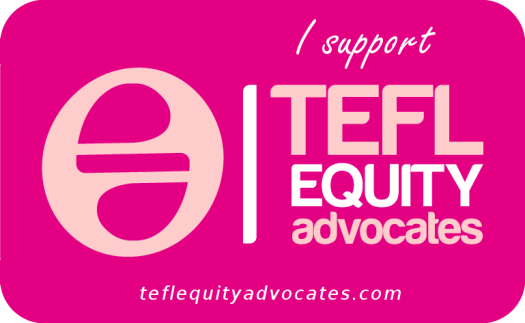 For example, you want to develop your ability to teach teenagers or to write materials. You use the site as a scaffold to work towards your goal, through a series of challenges and goals and expertise to get you there. There may also be an element of gamification to help make it more interesting. You start off with the ‘research’ room to develop your goals, followed by the ‘classroom’ room where you try them out. The ‘classroom’ is not just for teachers: for example, if you’re a manager it might be about how you observe lessons and experiment with this. As you complete the challenges, you collect badges which show how much you’ve done. Then you have the ‘training’ room and the ‘research’ room, which collates all the resources you might need for that topic, since it can be a bit difficult to find what you need on the TeachingEnglish website at the moment. You’re encouraged to reflect on and share what you’re doing. The idea is that it will work like a good staffroom, but in a virtual context. It’s trying to make the best of what comes from social media, but draw it together in a way that social media might not do. It’s big challenge, but it’s worth us trying to do it as Ann and Paul said. It’s not up yet, but will be started small and developed over time. They would like feedback on the idea so feel free to contact them. I think this looks like a fascinating initiative, and I look forward to seeing how it develops. Update: here’s an excellent illustrated post about an interview Ann and Paul did during the conference where they also talk about their ideas.